I have read a ton of reviews. There is clearly more positive feedback about Avon than negative. However, you need to get your feet wet and join before YOU make any assumptions about whether Avon is worth giving a try or not. Hmm, well, it’s more complex than that, obviously. You have to work hard and market your new business, whether it be online, face-to-face, or both. Most Avon reps agree to do both. Although some like to do their business purely online, like me. 🙂 You can be successful doing it both ways, or a combination. There are so many stay at home moms that get bored….or there are those looking online to work from home. It’s my opinion that Avon fits the bill that can get you out of your boredom and into working from home successfully. Yes, there are things to learn, (just like any other job, online or off). The truth is…..you can have FUN while learning; plus you get tons of free samples of all kinds of Avon products. 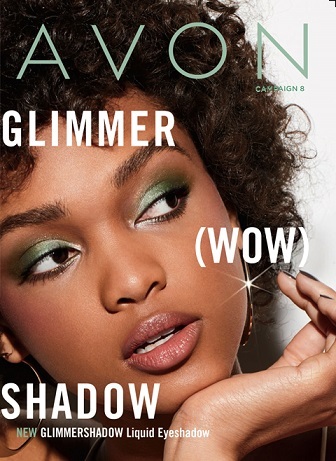 You get to go through an Avon brochure (every two weeks)…Below is the brochure for Campaign (4) – It kicks in after 12:00 PM tomorrow at the time of writing this blog post. You can choose to work mainly with the (free) website Avon gives you, or you can create a blog for your Avon business yourself. I love creating, so I chose my own blog. Personally, I can’t wait until my order comes in every two weeks. (that’s how long a campaign lasts). The various campaigns contain certain promotions and sales. You also have a different brochure for each campaign. There is something for everyone with Avon products. There are products for men, for your home, and also for your kids even! I think selling Avon is a perfect choice if you’re a stay at home mom. It’s convenient, you get amazing samples and discounted products, you meet other Avon reps and other people of course. However, you’re in control; as I stated above, you get to set up your Avon web store the way YOU want to sell.